Our unique and disciplined approach to business pans over our various support services, setting us apart from our competitors. TLC understands the diversity within an organisation and will tailor make our services to fit in with our clients’ needs. 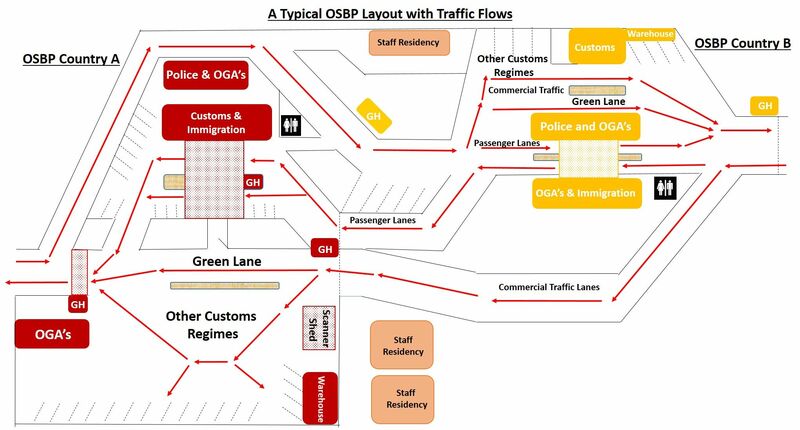 OSBP - design and traffic flows. In all the protocols, agreements, MOUs and treaties between the countries in the Southern and East African region there is the mention and intention of supporting the development of domestic production capacity and increasing intra-regional trade between Member States. The COMESA-EAC-SADC Tripartite Free Trade Area, launched in the Egyptian resort city of Sharm El Sheik by 26 Member States on Wednesday 10th June, 2015, has added further impetus to the search for integration and reduction of barriers to trade in goods and services. The search for measures to improve the logistics of inter-regional trade in Southern and East African regions continues, and significant improvements have been made with electronic clearing, single windows, one-stop border posts, and redevelopment of border facilities. The benefits of these improvements are very evident with the introduction of the Single Customs Territory (SCT) process in East Africa achieving cross border times of 10 minutes at One-Stop Border Posts (OSBPs). This is a further improvement on the National Transit Bond processing through the borders, primarily by integrating the customs clearance and payment systems and providing the facilities for electronic data processing. From the transporter perspective, the realities of cross-border transport at most borders are however less encouraging and still fraught with delays. This is due to the fact that many delaying factors are beyond the influence of the border authority and outside of the present scope of most improvement projects. These include extraneous time wastage, road and facility layouts, lack of parking facilities, bank and agent delays, remote inspection facilities, corruption and personal distractions to drivers. The work of the TLC-NP&A consortium is focused on achieving holistic analysis of the delay factors and identifying the potential for resolving them. The consultants’ extensive past experience in the region has covered a large number of border posts and cross-border projects and the corridors that serve the inter-regional trade. Past research has included calculation of times and costs for all delay factors on most of the regional corridors from posts to destinations. recent and current projects have ranged across the region from the Atlantic to the Indian Ocean and include interactions with governments, aid agencies, transport associations, forwarders, customs and border post authorities in appreciation of local conditions. The TLC-NP&A consortium has developed effective software to record and analyse the activities of all parties engaged in the transit of border posts and has the capacity to perform detailed time and motion surveys of the movements of traffic and goods. Knowledge of the cross border procedures and broad experience of the norms, and the obstacles, enables the consultants to identify the causes of delays and to recommend strategies to improve cross border efficiency. For effective border and corridor research and strategic solutions contact: nick@npagroup.co.za or mike@freightintoafrica.com . TLC is currently at an advanced stage of semi-automating TRANSLOG using robust re-usable RFID tags and handheld readers to minimize the human error factor through manual data collection. This will also allow for reduction in the number of Enumerators required for data collection and the information collected via the handled readers and RFID tags will be upload to a cloud based platform from where it will be downloaded into the Excel based platform thus eliminating the need for data capturers and improving the accuracy and efficiency of the system.